This is a very very rare beast, it is made by a Portuguese company called Osul ( They may be related to Metosul who made die cast models). 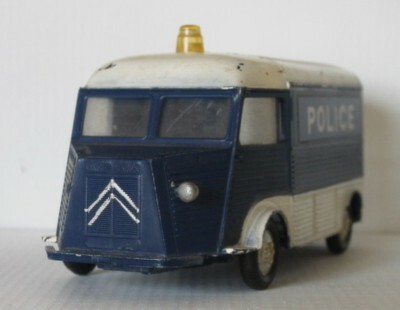 The model is a Citroen type H, otherwise known as a TUB or a "pig nose", the archetypal 1960s French van. Here is the nose of it. Another Hong Kong item, the Vauxhall Vega coach. Italian Job here we come! Can anyone supply me with 1/32nd scale gold bars ??? Of course I could instead turn it into a racing car transporter. 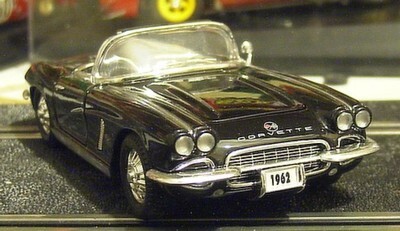 1961 Corvette roadster, as you can see, it already has what would end up as the rear deck of the famous 1963 Stingray. I recently bought a couple of Land Rovers on Ebay, this one came with a car trailer. The load is the very rare Entex Aston DBS. There is no brand name on either the model or the box. 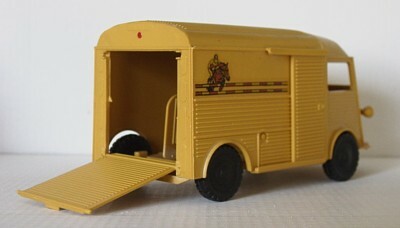 This is the other Land Rover, it is more accurate than the one above and came with a horse box. Back to the first one, with a an early conversion on the trailer.the Marcos was bought as a bodyshell, but is also a Hong Kong made item.